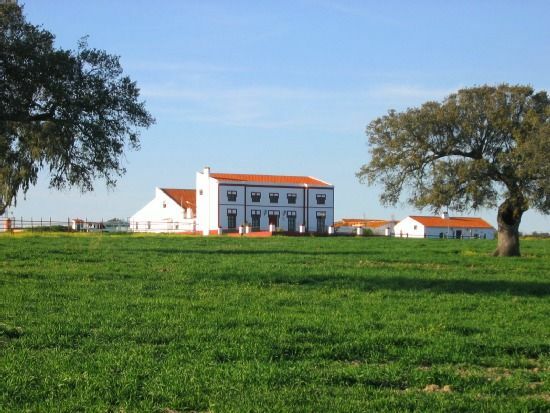 Rural house "Finca los Llanos" from 8 to 20 guests. Livestock farm of approximately 380 hectares, located in typical dehesa Extremadura, has cattle (black pronghorn, charoles, limusin ...) and Iberian pigs (only on designated dates). The houses belonged to the lords of the area, used as a summer farmhouse, it was rehabilitated in 2002 as a rural lodging.